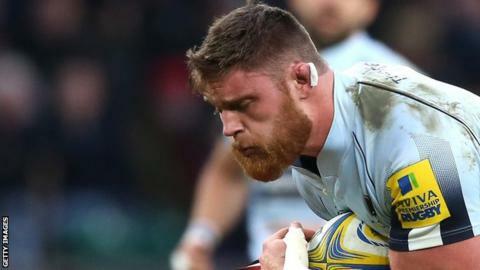 Worcester Warriors lock Darren Barry will leave the club at the end of the season to join Newcastle Falcons. Barry, 29, has been with the Warriors since moving from Cornish Pirates in 2015, and the win against Sale last weekend was his 80th appearance. The Bristol-born second-rower will join Falcons regardless of their divisional status, given the current threat of relegation from the Premiership. "He offers size and physicality in the engine room," said boss Dean Richards. Barry said he was committed to doing his best for Worcester for the rest of this season. "I can only control what I can do which is playing as well as I can when I am given the chance," he added. "While Worcester doing well is to my detriment next season it's not something I can control. There's no point worrying about what might happen to Newcastle, playing well for Worcester is all I can do for the rest of the season."